Discorso in morte del dottore Antonio Iannizzotto recitato il 6 agosto 1883. Ragusa : Tip. Piccito et Antoci, 1883. Description : [1 l.] pl., -36, p. ; ill.: 1 phot. ; 19.3 cm. Photograph : 1 albumen, frontispiece. 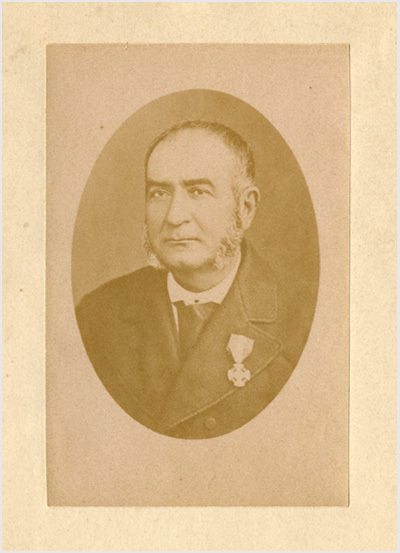 Subject : Medical biography — Antonio Iannizzotto (1818-1883). Author caption: S. A. Guastella. Dr. Iannizzotto trained under Socrate Polara (1800-1860) at the University of Palermo, and was awarded his medical degree in 1838. His postgraduate training in ophthalmology was conducted in Naples under the supervision of the surgeon Giovanni Battista Quadri (1780-1851), who founded and directed Italy's first ophthalmic hospital.